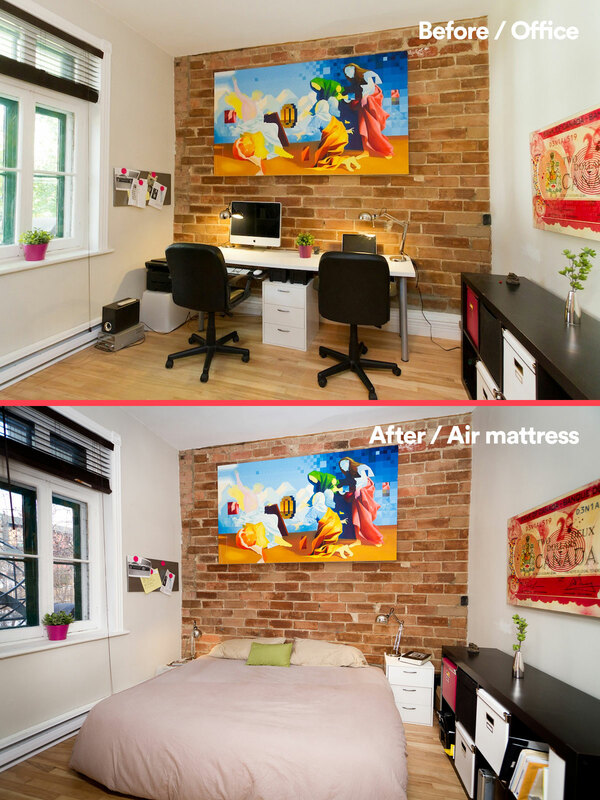 What is the best mattress for Airbnb Hosts? Discover a great option in this branded content presented in collaboration with Casper where we explore one of the most important thing you need to offer to your Airbnb Guests: a good night of sleep. 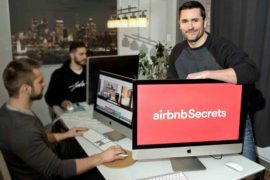 It’s been more then a year since I’ve launched AirbnbSecrets and I’ve received countless offers from all sorts of potential sponsors to write articles about their products and services. 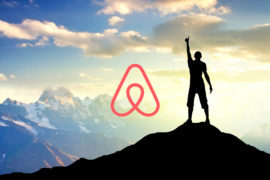 I’ve always refused them, but when Casper approached me to talk about one of the best mattress for Airbnb Hosts, I felt ready to open my blog to sponsored posts featuring top of the line Airbnb related products that I currently use as a Host or that I would test for you, my dear AirbnbSecrets readers. If you’ve followed my story, you already know I was on the verge of bankruptcy when my boyfriend and I started to list our home on Airbnb. It was in late 2012, I had no idea what Airbnb was and our realtor suggested we rent our home on it to help pay the mortgage until we’d find a buyer. Back then, our main bedroom was fully furnished with a queen size bed but we also had two “office rooms” that could be transformed into bedrooms to accommodate more Guests. On a snowy December morning, we went to do a little shopping and bought two inflatable mattresses that were on sale for $50 each, hoping that it would help us pay the mortgage until we could sell the place. All of a sudden we were ready to host a total of 6 Guests in our artsy 3 bedroom home. Inflatable mattresses – and this not so stylish duvet cover a friend gave us – were definitely great options to get us started. The word “Airbnb” comes for “AirBed & Breakfast” after all and the three founders, who also started hosting with air mattresses back in 2007, quickly became billionaires (true story – keep dreaming). 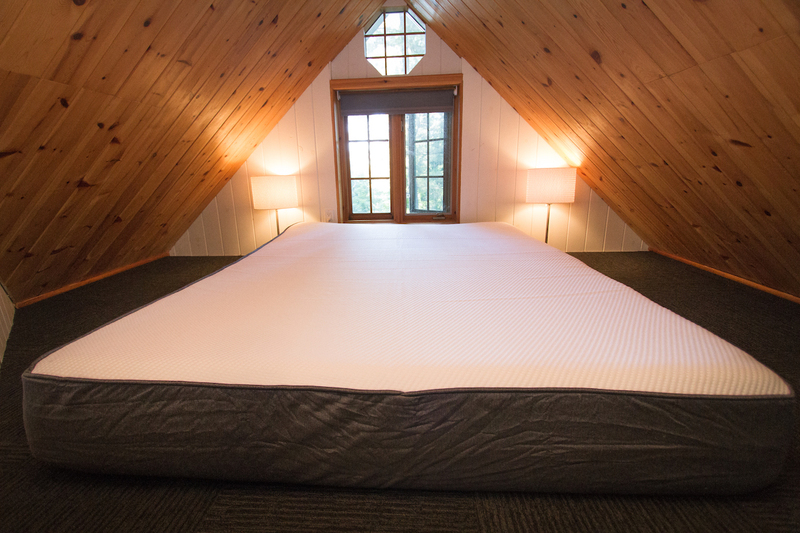 But with such setup, it was impossible for us to charge premium prices for our listing simply because air mattresses do not sound very appealing to high paying Guests who are mainly in search of a good night’s sleep. Instead, our “air listing” was attracting many low budget travelers who didn’t care about the sleeping experience since they were mainly in search of a great deal. Don’t get me wrong, this crowd is awesome but as months went by, our dear cat Kits decided to claw both of our air mattresses, creating slow leaks in them overnight. 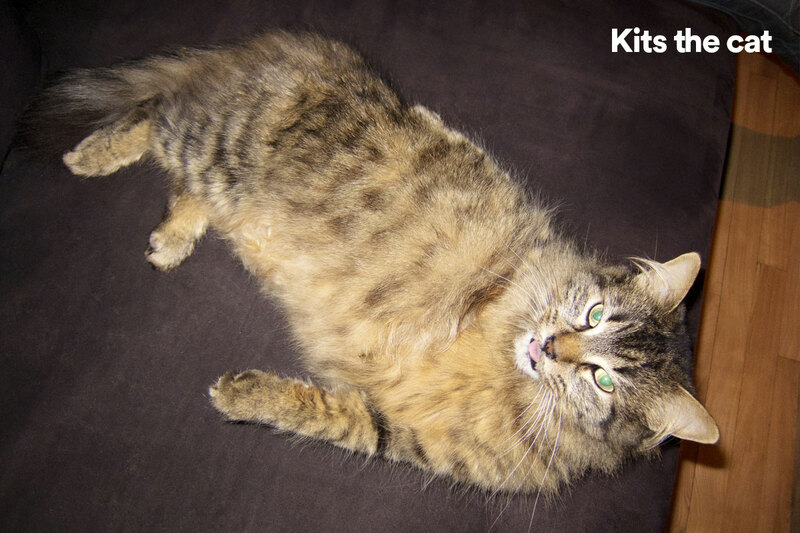 Before you ask, yes, Kits is still alive and she now lives at my parents place in the country – miaow! 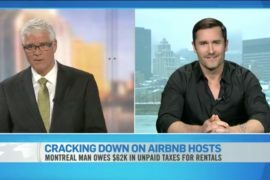 As we started making more money on Airbnb, not only did we realize it made no sense to sell our home (hosting had become our main source of income), but I also knew that if we were going to keep our place (and get rid of our cat), we needed to re-invest some of our Airbnb money into better mattresses to charge top dollars for our listing. That was in mid-2013 and Casper had yet to launch. So we took a day off and went to do a little more shopping. Since we were still tight on the budget, we spent a full afternoon testing a bunch of mattresses in-store and opted for two queen size, semi-firm mattresses, thinking that this level of firmness would please most Guests. With extra bed sheets, pillows and a base for both beds, this little upgrade ended costing a few thousand dollars which was the greatest Airbnb investment we ever made at that time. 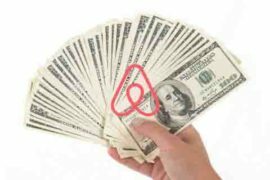 All of a sudden, we were finally able to raise our Airbnb prices. Instead of charging 75$ a night, we started asking as much as 250$ nightly during summer time for the exact same listing. If you’ve taken my online course, you’ve learned that giving a great experience to Guests has to be our top priority if you want to maximize your income as a Host. One important thing you have to remember is that beds and mattresses are our bread and butter as Hosts. If we don’t have beds, we have no income. Beds are not only used all year round by our Guests but we also sleep in them when our place is not booked. 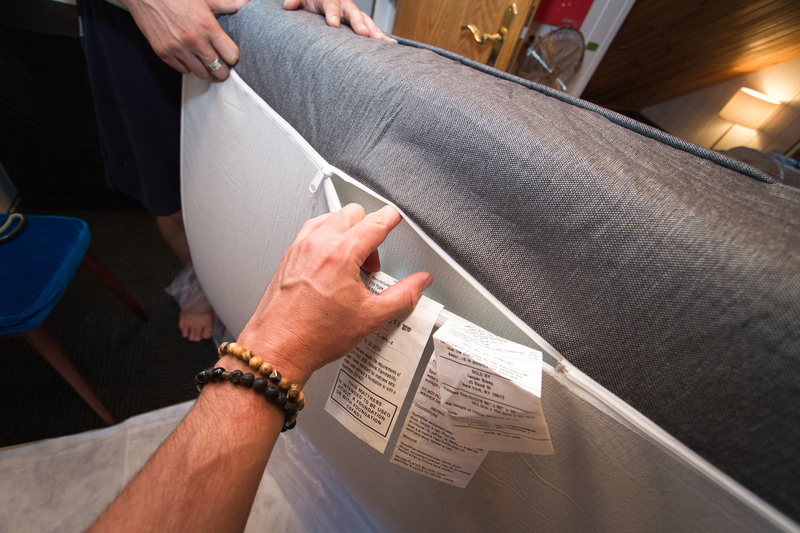 So offering a quality mattress to your Guests – and to yourself – should also be at the top of your list as a Host. In our case, not only did our two new mattresses pay for themselves very quickly, but many Guests also started to mention their appreciation for real beds in their reviews. And the more great reviews we got, the more new high paying Guests were attracted to book with us, which lead to a huge impact on our Airbnb income overnight. This brings me back to Casper which I’ve been reading great things about all over the internet. This company has only been around for 2 years and from what I can see, they have found great success in selling mattresses, pillows, and sheets online. Their reviews are simply stunning, but what I like about Casper’s concept goes even beyond that. 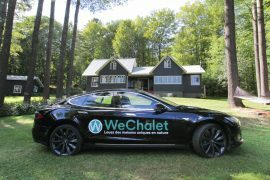 As our world is becoming more and more digitized, new tech companies are emerging to reinvent our shopping experience and bring it online. Every problem has a solution. Who wants to waste an entire weekend shopping in a crowded mall, or store to test mattresses? Who wants to deal with renting a van to get their mattress delivered at home? And what if you don’t like your new mattress? Who will will pay to take it back to the store and return it? 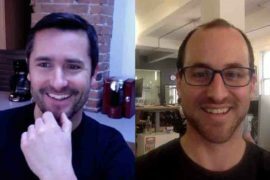 It sure is time consuming and that’s exactly why Casper is changing the game. 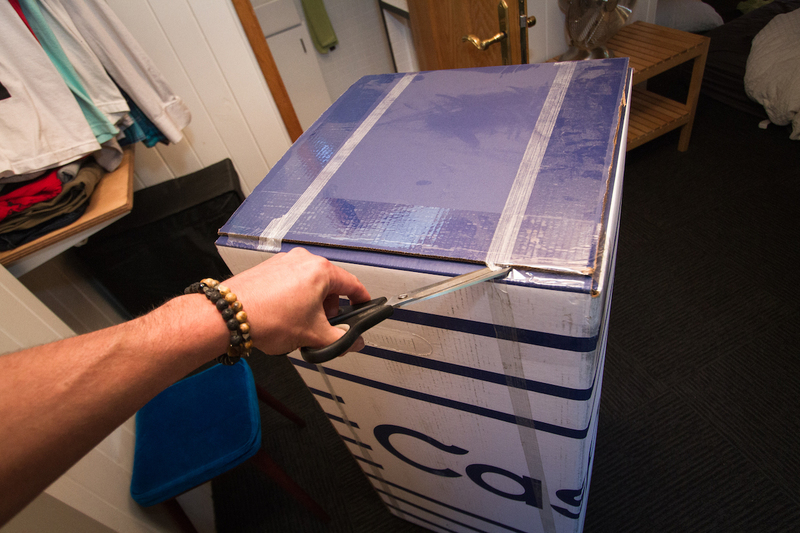 With Casper, you can simply order a mattress from their website and get it delivered to your door in a box the size of a mini fridge! Because Casper has removed the middle man, they can give you the best price, meaning they can pass the savings directly to you, the consumer. Then, you have 100 nights to try the mattress at home. Meaning, that you can really sleep on this mattress for more than three months before officially making your mind up about it. If you like it, you keep it. 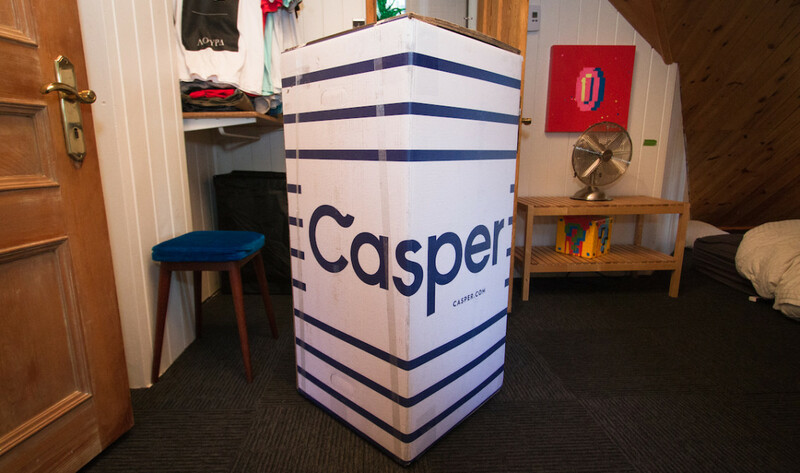 If you don’t, Casper will pick it up for free and have it donated or recycled since they don’t resell their mattresses and will refund you 100%. In business terms, that’s what we call a “No Risk” investment for us, the consumer, because all the risk is on the company that sells us the product. 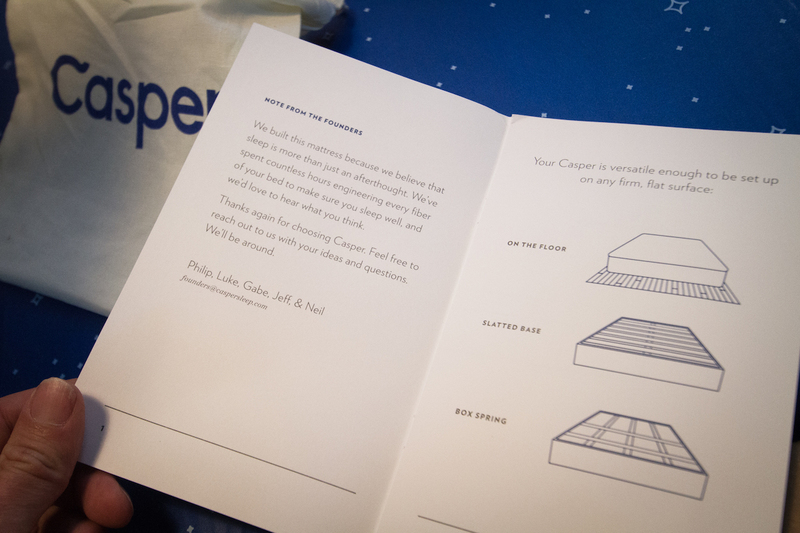 So when I was approached by Casper, I told them I would be open to write an article about their mattress only if I could test it in my bedroom to feel if the sleeping experience was that much better then my current mattress. 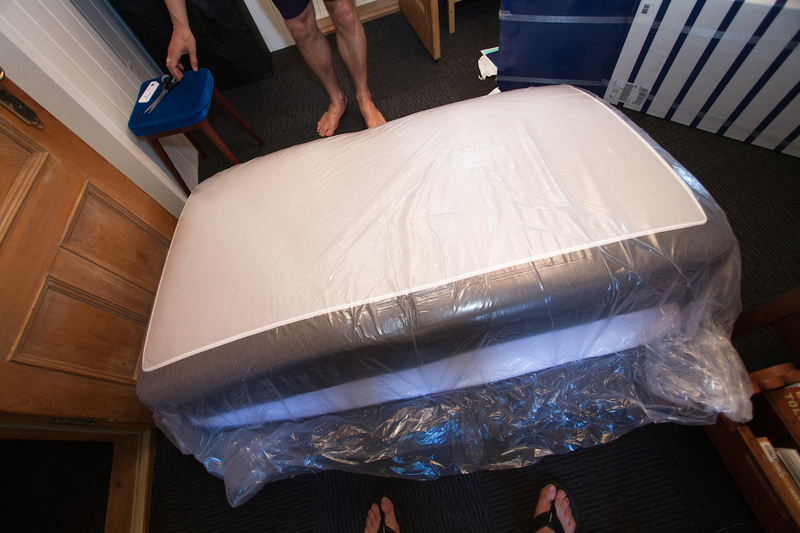 I also asked to be treated as if I was a regular customer who had ordered it online and told them that if I didn’t like it, I would simply return the mattress without writing a blog post about it whatsoever. This compact box quickly arrived home via Purolator and I soon realized why Casper might be the best mattress for Airbnb Hosts. 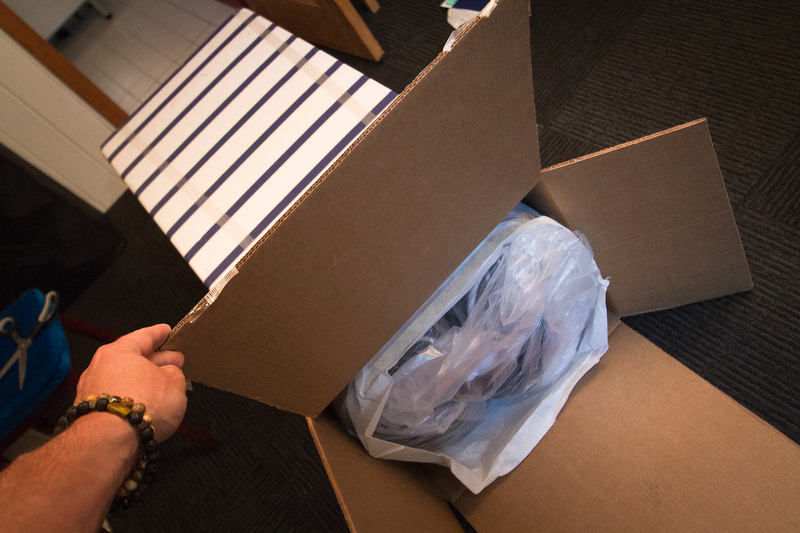 From the moment you open the box, you can tell that this company has put lots of effort into delivering a high quality product. 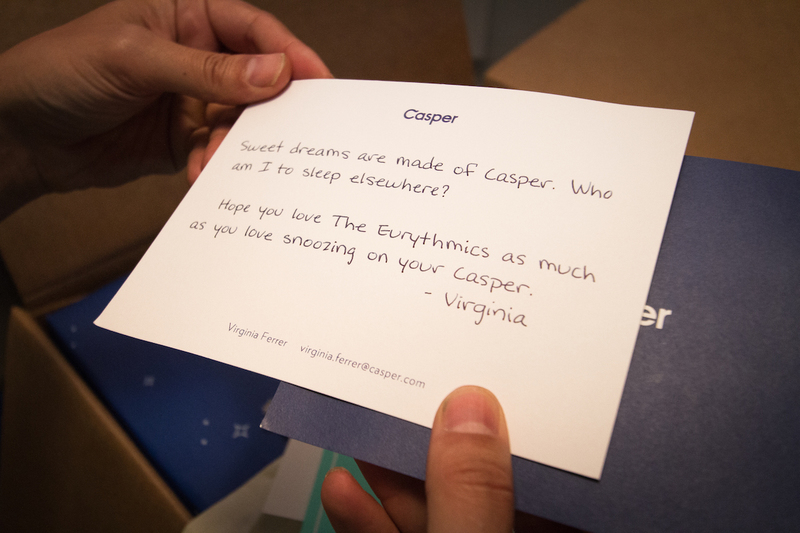 And you can feel that Casper cares about giving a stellar sleeping experience to their customers. I was also glad to discover that you can put this mattress on all kinds of surface (something I forgot to ask during our “deal negotiation”). At our Stylish Country Home by the Lake listing, the master bedroom can only accommodate a mattress directly on the floor so it was very important for me that it could accomplish this task. 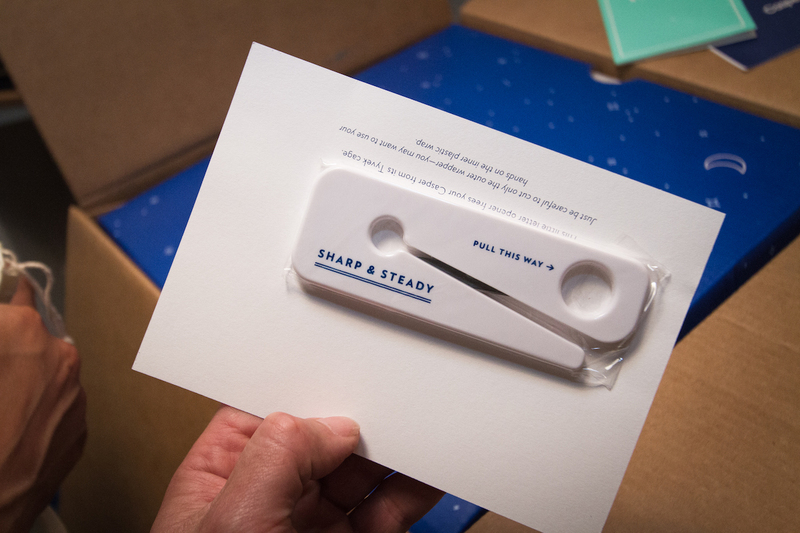 Once you read over the welcome kit, you are quickly invited to cut the plastic bag with a special knife. Yes, a queen size mattress fits in this small box! 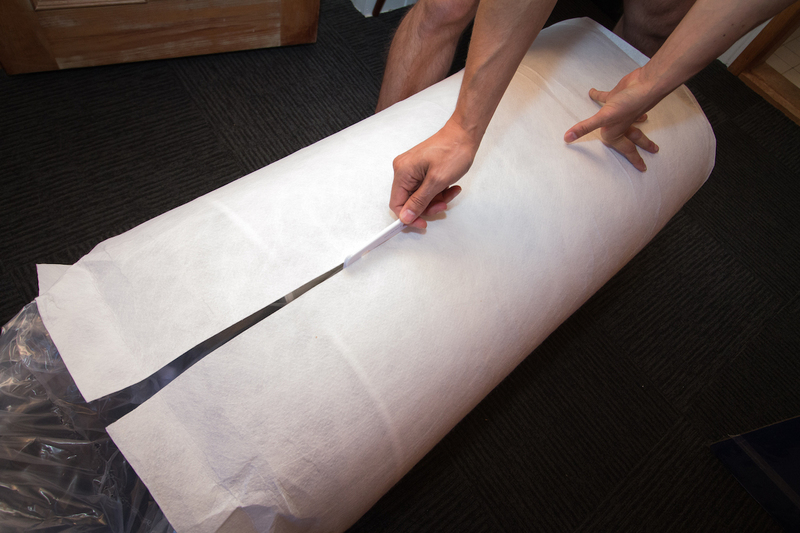 The special knife is really sharp and makes it very easy to safely cut the wrapping without damaging the mattress. Next thing you know, the mattress starts to expend like crazy until it takes it’s full form. I’ve also noticed that Casper has a removable exterior washable cover which should be very useful when Guests dirties your mattress. Indeed. After spending a few months sleeping on it, I gotta say that this mattress is super comfortable! It’s hard to explain how it feels but Casper has tested hundreds of materials and thousands of combinations before developing a mattress that works for the vast majority of sleeping positions and body types. So the material is quite sturdy at the bottom, you feel like the base is very solid and that it supports your back very well, yet, at the same time, it’s quite soft and “cushion-y” on the top. Since it’s made of hypoallergenic latex, high-density memory, and supportive polyurethane foams, there is no springs in this mattress. Meaning when the person sleeping next to you decides to flip over, you barely feel anything since the foam absorbs all the movement, which is great for light sleepers. By the way, to make sure Casper is also pleasing our Guests, I’ve been asking private feedback to the lucky ones who got to sleep on it. So far, so good. Every single one of them told me: “It was very comfortable!” So yeah, Casper feels awesome and I also love their pillows – they feel so comfy! 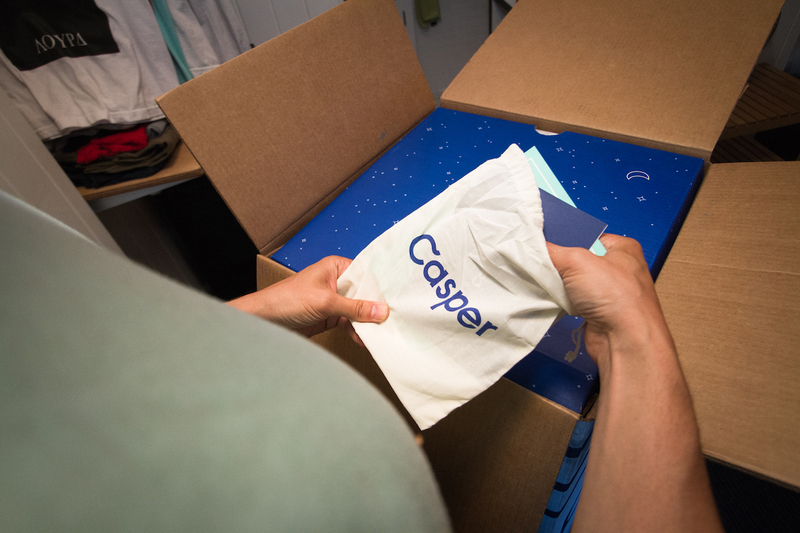 If you are looking to upgrade your bed with the best mattress for Airbnb, you should definitely check Casper out. With the 100-night trial and 10 year warranty, you really have nothing to lose. 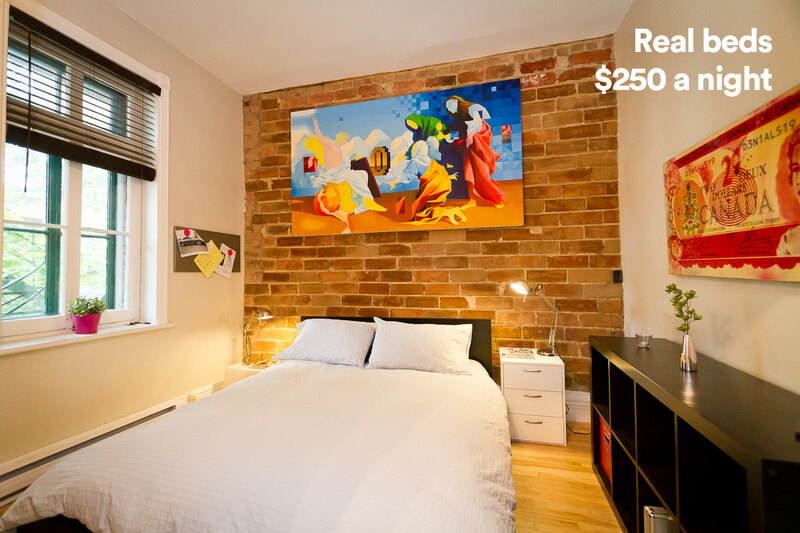 To top it off, their mattresses start at $500 and as an AirbnbSecrets blog reader, you can sign up here to receive a special offer and save even more. 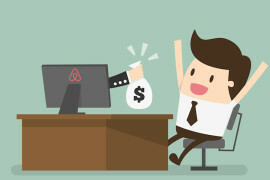 On a final note, if you enjoyed this post and want to learn more about Airbnb hosting, I currently offer a lot of free information via email to empower all types of Airbnb Hosts. There’s so much more to know and there’s so much we can get into on the tactics. Your pop up to subscribe obliterates the text of the blog. I have already subscribed but now can’t read your info.